Say hello to our resident hockey star, Brodie West! Brodie has played and represented the state in hockey since just 13 years of age! 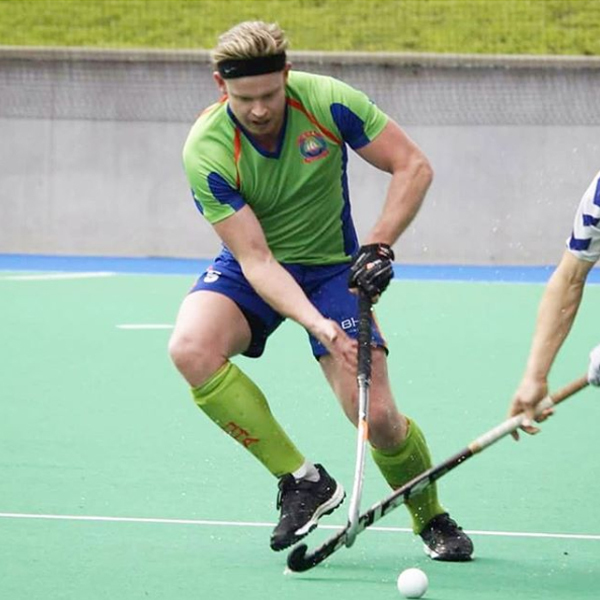 He held a Tasmanian Institute of Sport scholarship between 2003 and 2005 and during this time represented Tasmania in the National Hockey League while also representing the state in the U21 team. Today Brodie considers himself a ‘gym enthusiast’ and enjoys a combination of strength training, cardio and hockey. 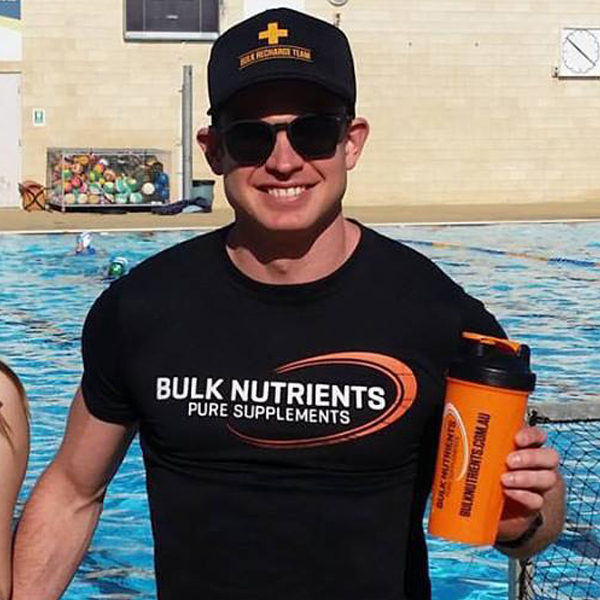 But Brodie isn’t only a gym junkie… he’s also the marketing manager here at Bulk Nutrients! When he’s not hitting the gym, smashing goals on the hockey field or working at events Brodie loves to cook up a storm and cuddle his dogs Charlie and Scooter. 1. What tips would you give to an aspiring hockey player? I would advise any young player to get into strength training early to build up a strong core, and strong legs for sprinting. Hockey is more physical than people think and being strong on the ball is essential. I’d also advise players to always warm up and cool down properly, hockey is very stop start with a lot of changes in direction throughout a match. To eliminate other players requires a lot of sprinting – so looking after your body will prevent any soft tissue injuries. Lastly – stay hydrated! 2. How important is nutrition to you and how do you manage it? I became vegetarian when I was 25 and have just hit my 8th year of not eating meat. I made this decision for both ethical and health reasons and have never looked back! One unexpected side effect is all the energy I have, and a general feeling of freshness from the food I eat. I supplement daily to ensure that I am getting all my macro and micro nutrients to ensure I remain fit and healthy. 3. What goals do you have for the future? My goal is to play for Tasmania at the Masters games within the next 2 years and represent Australia in the over 35’s team. I also want to conquer the world’s toughest half marathon - the Point to Pinnacle once again (I’ve done it twice now). I’m not really a sweets kind of person, but I absolutely love pizza. I can’t get enough! 5. Why do you enjoy being part of the Bulk Nutrients team? I am the marketing manager at Bulk Nutrients, and absolutely live for my job! I love the partnerships we forge, the events we attend and the brand we are building. Get motivated by Brodie's Instagram snaps and follow his Tweets.
" Unlike other vegan proteins I have tried, the taste is amazing and the texture is smooth and creamy. Plus its amino acid spectrum is very similar to whey"
"I take this every day, and when I don’t take it I definitely notice the difference! Plus the inclusion of vitamin B12 naturally found in spirulina is an essential to every plant based diet." " I absolutely love Pre Workout 101 as it gives me the edge I need whether that be on the hockey field or in the gym, I wouldn’t train without it!" " I like to sip on Bulk Nutrients BCAA Recovery during and post-match to help my muscles recover and to rehydrate faster. "